PRICED 35K BELOW ITS APPRAISED VALUE FOR QUICK SALE. Whether you're looking for a vacation home, investment or family home this home has it all. Very unique, there is nothing like it anywhere nearby. The condo complex has only 2 main buildings with 5 units total. 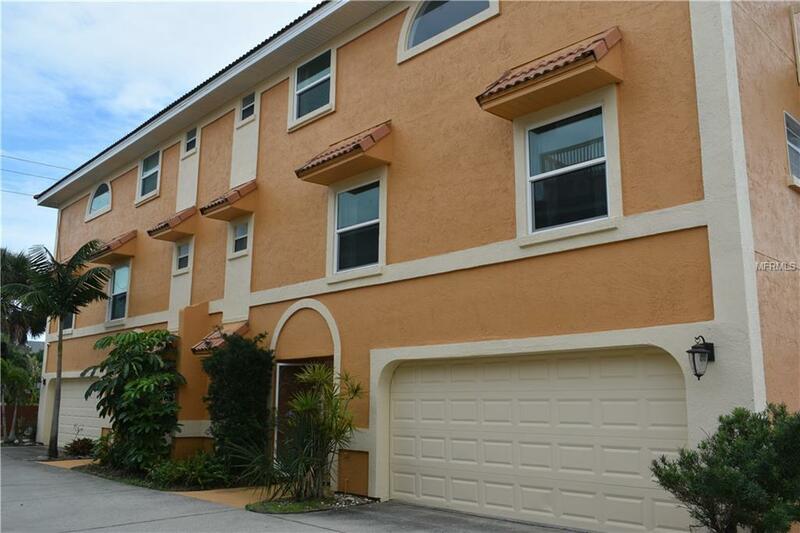 This end unit is located by the pool, furnished and ready to move in. 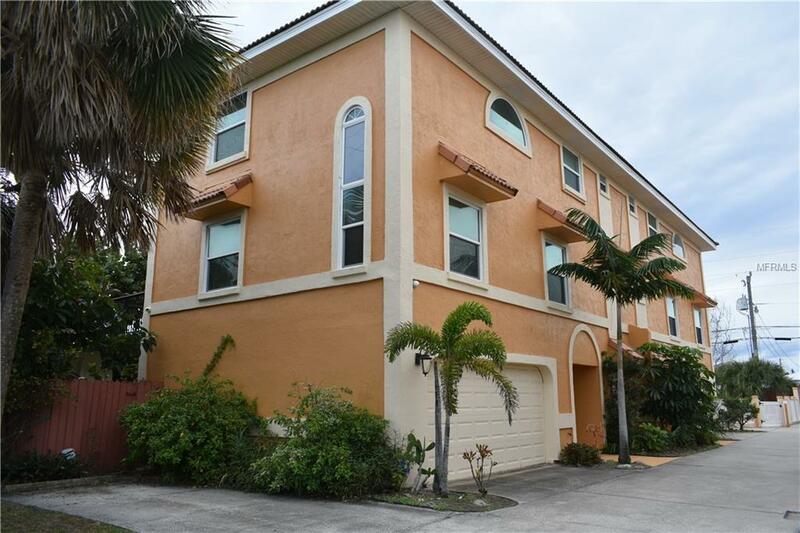 A spacious 3-story Mediterranean Style Condo with 1961 sq ft and located less than a block away from the beach. 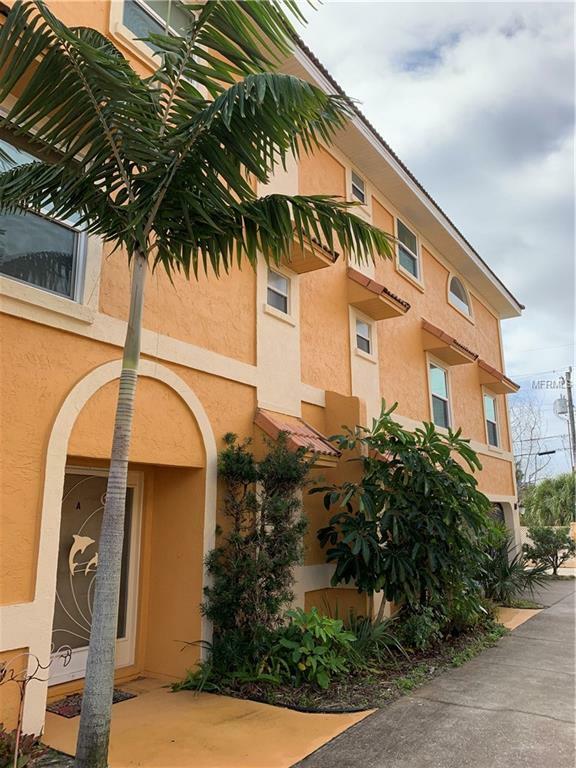 Features 3 bedrooms, 3 1/2 bathrooms, plus a 4th bonus/den/office room that is currently used as an additional guest bedroom and located downstairs with access to a full bathroom.The first floor has a full bath, the bonus room and garage. The second floor has a large dining/living room combo with high ceilings, a balcony, a large kitchen with a breakfast area space, bar and stainless steel appliances. The second floor also has a bedroom and 1/2 bath. The third floor has the Large Master Suite with a balcony overlooking the pool, the master bathroom with double sinks, Roman jetted tub and large walk-in closet. The third floor also has a second bedroom with a full bathroom. The two car garage is over-sized to fit all your water sports and beach equipment, and theres a small semi-private common area in the back. You also have one additional parking spot by the pool. 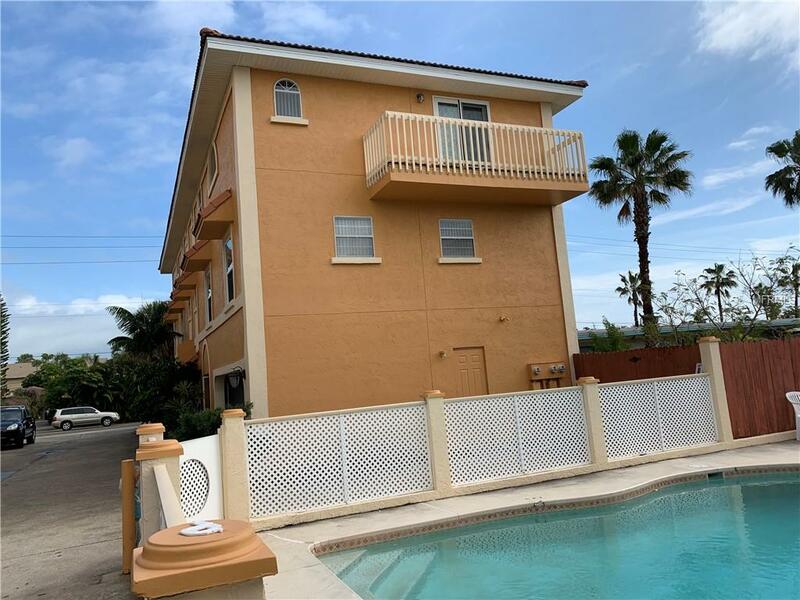 The Condo is located within walking/biking distance of downtown Cocoa Beach, shops, restaurants, world-class fishing, beaches famous for surfing, A-rated schools, parks, river and more. Listing provided courtesy of Terra Homes Llc.